Average Joes Entertainment’s Platinum-selling Montgomery Gentry is taking the band’s long-awaited studio album, Here’s To You, on the road with the Here’s To You Tour this winter. This emotional return to the stage is the first time member Eddie Montgomery will be touring without the late Troy Gentry, who died suddenly after a helicopter crash in September. “Better Me,” the lead single from the project – to be released on February 2nd – is currently playing on country radio. The compelling retrospective tune was penned by heavy-hitters Jamie Moore, Josh Hoge, and Randy Montana. In honor of Gentry and their nearly two decades-worth of chart-topping country music, guests can expect to hear their greatest hits mixed with anticipated Here’s To You tracks during the expedition. Jumpstarting the nationwide trek on January 19th at the Denny Sanford Premier Center in Sioux Falls, SD, supporting Alabama, the can’t-miss headlining tour crisscrossing the country wraps in Ventura, CA, at Boots and Brews on September 15th. Here’s To You is now available for pre-order via Pledge Music, in addition to exclusive album and collectible bundles. Fans can also donate to the T.J. Martell Foundation upon purchase. 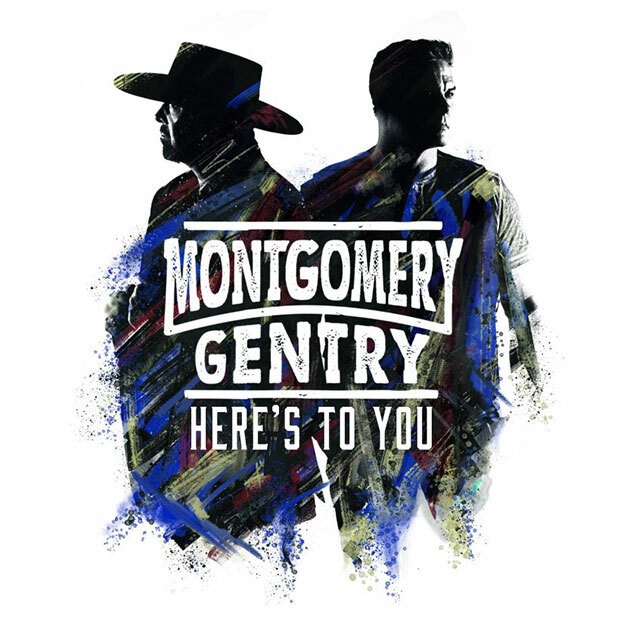 Montgomery Gentry remains staunch supporters of the non-profit organization, which benefits cancer research, and is proud to continue to help the cause with Here’s To You.